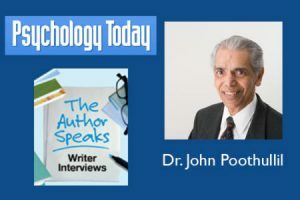 Psychology Today hosts “The Author Speaks”, a section on their site which highlights conversations with writers you should know about. I am now one of them! 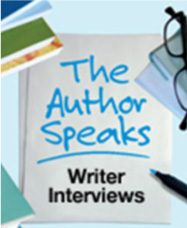 The following is an excerpt from my interview. This may have information you have heard before from me but I hope you will choose TODAY to share this interview with someone who needs to read it. The number of people with diabetes has more than tripled since 1980. The condition is closely associated with the rise in obesity worldwide. But there are still important unknowns about the disorder. What is the real cause of diabetes? First, let us be clear about the two types of diabetes. Type 1 is the result of a dysfunctional pancreas, which produces minimal or no insulin and usually occurs in childhood. Type 2 used to be called adult-onset but it is now occurring in children and teenagers. My view is that Type 2 diabetes is not a hormonal disease but a nutritional condition, caused by the excessive consumption of cultivated grains and grain-based foods. This is why the incidence of Type 2 diabetes is increasing in every nation where grains provide 50 percent or more of the daily energy intake. How does your view differ from the conventional view? 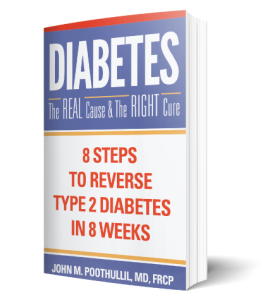 The conventional view of Type 2 diabetes is based on “insulin resistance,” and has four key points: 1) reduced glucose entry into muscles, 2) increased glucose production by the liver, 3) increased fatty acid release by fat tissue, and 4) reduced insulin secretion by the pancreas. The first three are considered evidence of insulin resistance because they occur in the presence of insulin. However, despite being heavily investigated for decades, the reason for each is incompletely understood. My view is that when muscles are using fatty acids for energy production, as they commonly do in the fasting state, they do not need glucose as fuel. When muscles use fatty acids continuously, the liver interprets this as secondary to non-availability of glucose and starts glucose production, as it is programmed to do. The inability of fatty acids to enter fat cells, due to them being already full, steers them back into the circulation, creating the impression of fatty acid release by fat tissue. Meanwhile, the pancreas reduces its insulin secretion, even in the presence of elevated blood glucose, to preserve pancreatic function and to prevent cancer growth, as insulin is a growth stimulator. My view thus provides the biological explanation for all four points above. If insulin resistance doesn’t explain diabetes, what does? The most logical explanation for Type 2 diabetes is that the constant consumption of grains and grain-flour products fills up a person’s natural allotment of fat cells. When fat cells become full, fatty acids flow through the bloodstream. When freely available fatty acids are burned constantly, glucose, absorbed from the food as well as created by the liver, is left in the bloodstream. In other words, “insulin resistance” is not necessary to explain elevation of blood sugar to the level of Type 2 diabetes. How does insulin resistance fail to explain diabetes? Traditionally, a scientific concept is not printed in medical textbooks before it is validated through logic, mechanism, and measurement. However, insulin resistance theory was exempted from this tradition when it was hypothesized about 90 years ago. These are many illogical facts about insulin resistance. First, what is the reason for the body to start resisting insulin, and why by only three types of cells out of 200 types? It also makes no sense that while resisting insulin, cells respond normally to three other hormones—glucagon, adrenaline, and cortisol–involved in blood sugar regulation. The theory fails to explain why thin people develop diabetes as it often blames weight gain and obesity as causing insulin resistance. The theory cannot explain why some women, but not all, get diabetes within weeks of pregnancy and then lose it within days after giving birth. Finally, no one has explained the intracellular mechanism of insulin resistance, and there is no test to directly measure the degree of insulin resistance at any one of the sites of resistance. What are the practical implications of your view vs. the conventional view? The conventional view of Type 2 diabetes is linked to weight gain and obesity. Although doctors talk about eating healthy and exercising more, their main emphasis is on medications including insulin injections (which is illogical if patients are presumably resistant to it). I believe that, rather than medications, Type 2 diabetes can be prevented or reversed by reducing the availability of fatty acids to muscles, forcing them to use glucose again. This can be accomplished by reducing to almost zero one’s consumption of grains — breads, wraps, tacos, tortillas, pizza, pastas, rice, corn, cakes and pies, and snack foods.